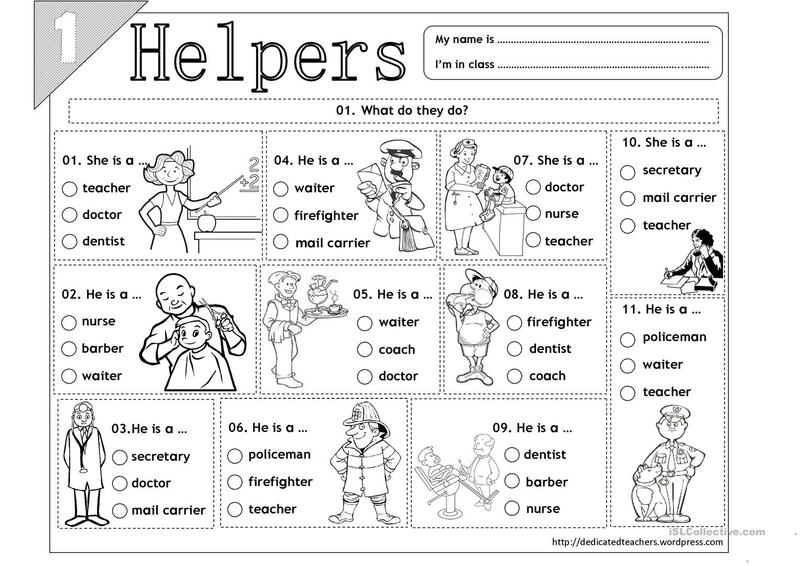 A multiple-choice excersize for students to identify different jobs. This downloadable teaching material is meant for elementary school students at Elementary (A1) level. It was designed for improving your groups' Reading skills. It features the theme of Jobs, work.